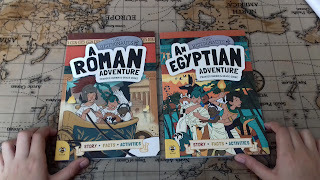 Over the past couple of weeks the kiddies have been dipping into these amazing new books, The Histronauts, during their History and Geography lessons. 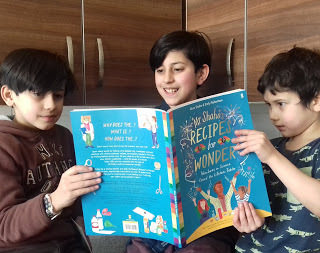 They are packed with stories, facts and activities which have really captivated the boys so much that they are even carrying them off to bed for some bedtime reading! Interestingly, these books have been written by Frances Durkin who was also Home Educated! This week we managed to catch up with Frances to ask her some pertinent questions about Home Education and what a day in the life of an Author is like, so please grab yourself a cuppa and keep reading to find out what she had to say!! Today I am interviewing Annely to find out more about their Home Education adventure which you can follow over on Instagram here. 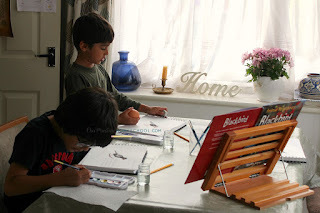 Autumn ideas for the little ones! So who's ready for Autumn? Here is a collection of photos of the things we got up to last year! If you'd like to see this year's Autumn activities then keep an eye on our Instagram account here. I made this board for DD4. We added coloured salt by grating chalk into table salt. DD4 used the little twig 'pencils' to make marks and form letters. She was also at a stage where she was beginning to count, so we used the leaves for some simple adding and subtracting exercises. 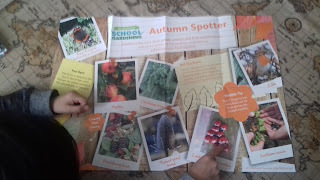 This is always a fun activity to revise their phonics each Autumn. We make an autumn tree and write words or sounds on the leaves. Last Autumn she was learning words with the 'an' sound. She read the word on each leaf before gluing it onto her tree if it contained the 'an' sound. Give a hog a home! 3) Blackberry picking in our local woods and surrounding areas! We usually make pies, ice lollies and edible paint for DD4! 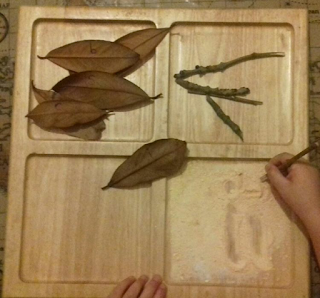 4) Making leaf biscuits with the little ones for those extra cuppas!! Here's a nice recipe: Gingerbread Men Recipe - but we cut ours into leaves! The boys have been using Minecraft as part of their Education for a long while now, it is arguably the world's greatest and most influential online game. They create their own little worlds with amazing structures in Minecraft by using their creative thinking and designing skills. 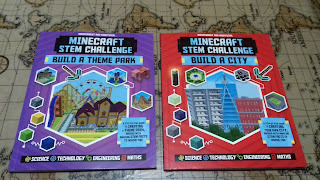 These Minecraft STEM Challenge books have come at just the right time as they discover the STEM subjects whilst learning through what they think of is 'play'. 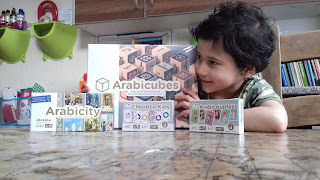 The prefect way to combine play with Education! These books have taught them how to add a city and a theme park to their little online worlds. 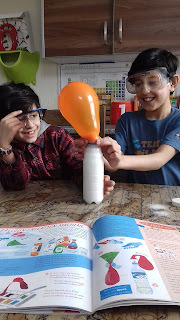 As they build they have learnt key STEM principles and they get to read fascinating STEM facts whilst following the fun, vibrant illustrated instructions inside each book. They have been taking inspiration from the colour images from Minecraft throughout each book and all the top tips it provides throughout. Any written instructions are presented in a clear, simple step-by-step fashion. 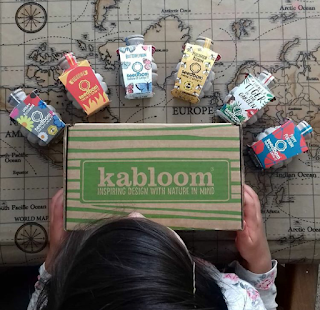 We have been busy this Bank Holiday Weekend throwing and growing with our Seedboms from Kabloom! They are little wildflower filled biodegradable pots which the kiddies have been having lots of fun with. There are many different designs from Pollinator Beeboms to a children's story book inspired seedbom 'Theres a Tiger in the Garden'. So what actually are seedboms?